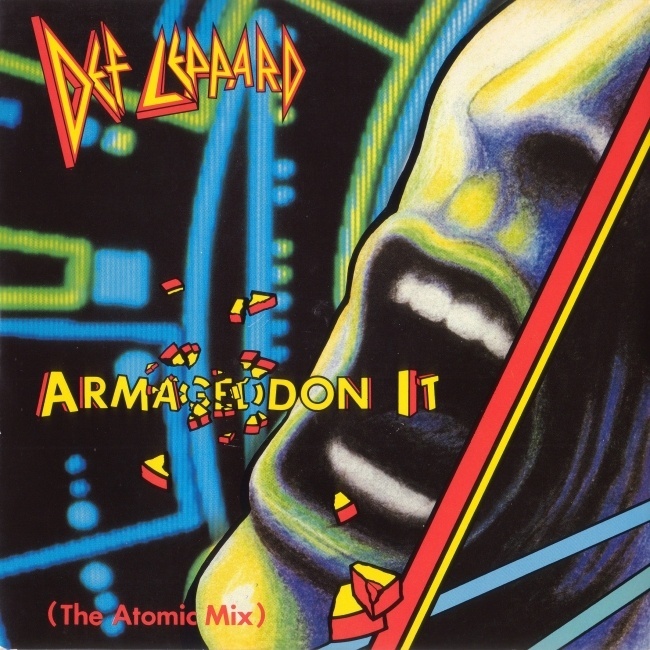 Def Leppard's classic Armageddon It single hit Number 20 in the UK singles chart on this day in 1988. The fourth single to be released from the 'Hysteria' album in the UK. It was released on 28th March 1988 reaching Number 20 and spent five weeks on the UK chart. Four of those weeks were spent inside the Top 40. It entered at Number 28 before rising to its peak position of 20 in the second week. The third Top 20 hit from the album. Also the fourth consecutive Top 20 or Top 30 single from the 'Hysteria' album in the UK. Fellow British rock band Iron Maiden were also in the same chart at Number 18 with 'Can I Play With Madness'. Other notable rock bands in the Top 40 on this day were AC/DC at Number 27 with 'That's The Way I Wanna Rock 'n' Roll' and Heart at Number 32 with the re-released single 'Never/These Dreams'. Pet Shop Boys were at Number One on this day with their single 'Heart'. Other rock acts on the chart that week included Iron Maiden (18), Status Quo (24), AC/DC (27), Heart (32), . Phil Collen - "Tongue in cheek. T. Rex meets Eddie Cochran with backing vocals." Phil Collen - "A fun song to do live. It's kind of like T. Rex's "Bang a Gong." A good party song. It never gets boring to play and it translates well to acoustic." Joe Elliott - "Armageddon It was the last one. Mutt and I were only ones in the studio. And as soon as I finished doing the last bit of that song, it wasn't so much a feeling of anti-climax as it was an inner sense of being totally relieved. I didn't jump up and down." "We didn't hug each other and drink tons of champagne. It was more like 'Oh we're finished, man. This is great.' We shook hands, sat down, looked at each other and we both let out a big sigh."